We provide a variety of basic needs for our clients including: food, clothes, toiletries, household items, prayer, assistance obtaining an ID, etc. WHAT IS OUR COMMUNITY PANTRY? A client can come once a month to receive services. However, after 3 times of receiving services, we require that our clients take our budgeting course before receiving services again. 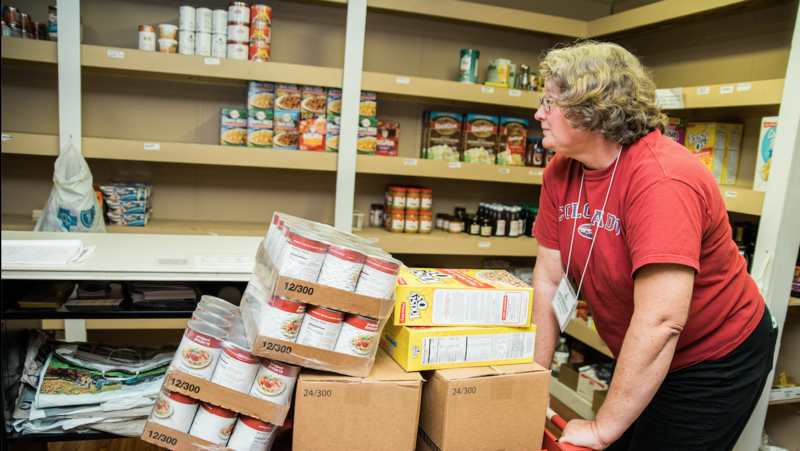 Greenhouse Ministries provides assistance to individuals and families in need during our client hours. WHEN CAN I COME TO RECEIVE SERVICES? Tuesday through Friday between 10 am and 3 pm. CAN I DONATE TO THE COMMUNITY PANTRY? YES! Simply put, your donations save lives. We would greatly appreciate any food donations of perishable items such as peanut butter, jelly, bread, cereal, canned fruits and vegetables, soups, canned meats, pasta, etc. We also need donations of other basic needs items such as clothes, toiletries and household items. Food donations can be given at our warehouse donation door at the back of our building anytime during donation hours. Tuesday through Friday from 10 a.m. until 4 p.m.